You’ve heard the popular saying, Health is Wealth. This is even truer when we prefix this sentence with the word ‘Financial’. 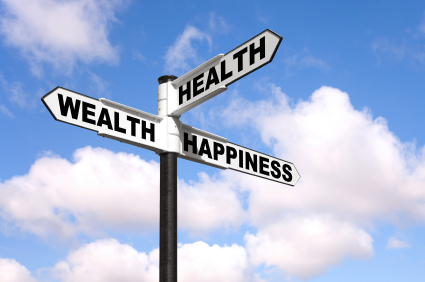 Good financial health contributes to wealth as well as physical health. Every NCR registered counsellor will vouch for this from their experience of helping thousands of people out of debt in Johannesburg in South Africa. Are You Caught In The Debt Trap? Debt is funny trap. One does not even know how deep it is and once you slip into it. It pulls you so fast that you do not know what happened. It might start off as just one defaulted payment because of a job change or unforeseen circumstance and before you know it, you are flooded with calls to pay up immediately with threats of legal action, repossession and blacklisting. There is a huge number of people in South Africa who are reeling under the pressure of debt. Some of these people take the right action and contact NCR registered counsellors. Several others don’t know that this course of action exists and lose their car and even their house. If you are in debt and are increasingly finding it difficult to meet your commitments, then it is better to get expert advice and bring it well within your control. There are too many people out there giving you advice on how to manage your debts, but one has to be very careful about whose advice we take. A wrong move at this time can take you further down the debt drain rather than taking you out of it. You may have already heard about the NCR registered counsellors. They are professional debt guides waiting to help people out of debt by providing the right advice. The NCR registered counsellors will be your friend in need by helping you restructure your loans so that you can breathe a little easy. A state of debt is not permanent for the person who is willing to change their ways and move towards a more responsible financial management. Again, you are not alone. The NCR registered counsellors will provide education and counsel you on your specific situation. Good financial standing and wealth creation requires planning and discipline. Reckless spending and maxing out credit cards again and again will never ever get you out of debt. A NCR registered counsellor will show you where you may have made some inappropriate financial decisions and how to avoid them in the future. Anyone who is debt should contact Debt Guides for assistance.